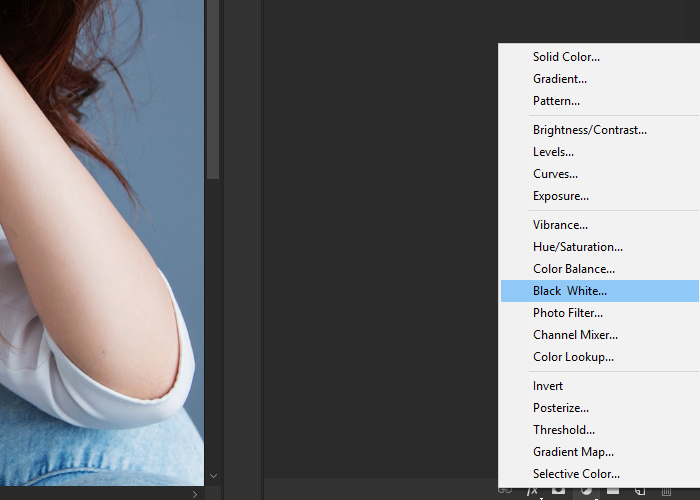 In today’s beginner friendly Photoshop tutorial, I will show you how to turn your colored image into black and white in only a few simple steps. There’s many different ways to turn your images into black and white using Photoshop. 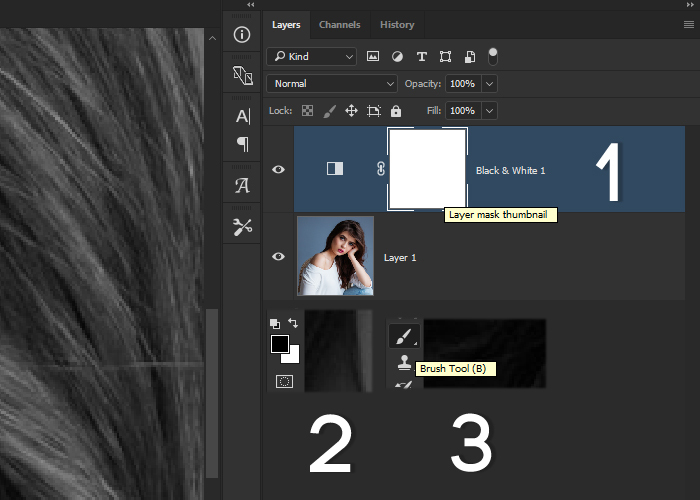 Today I will show you an easy way by creating an adjustment layer and applying settings to match your image. What is the difference between desaturate and black and white? When you desaturate an image in Photoshop, it does the trick, but… tones aren’t really affected when applying this setting. Sometimes your image will look washed out and some of the colors tones will be mixed together. For some images, this will be fine. But for many, it will be very noticeable. 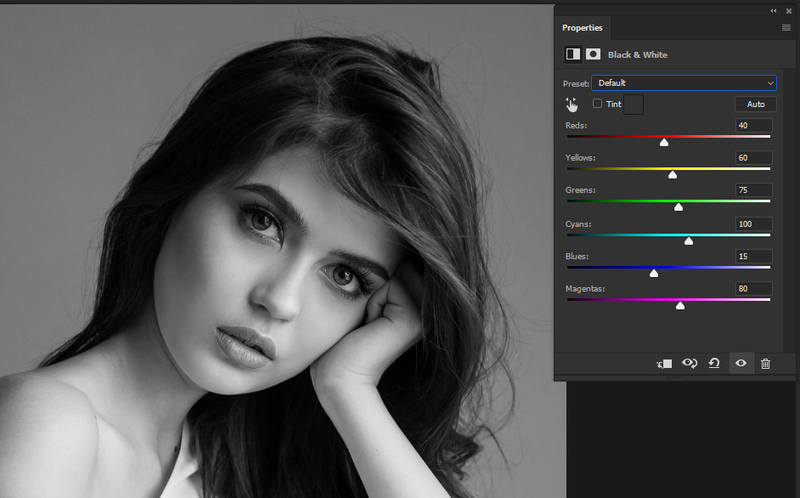 Using a Black and White adjustment layer on the other hand, you’ll be able to have full control over the colors of your image. For example, if I have a lot of reds in my image, I’ll be able to control the reds by using the “Reds” slider. This will not only affect the reds, but how the black & white adjustment layer rests on your main image. With the settings applied correctly your final black and white image will look great! 1. 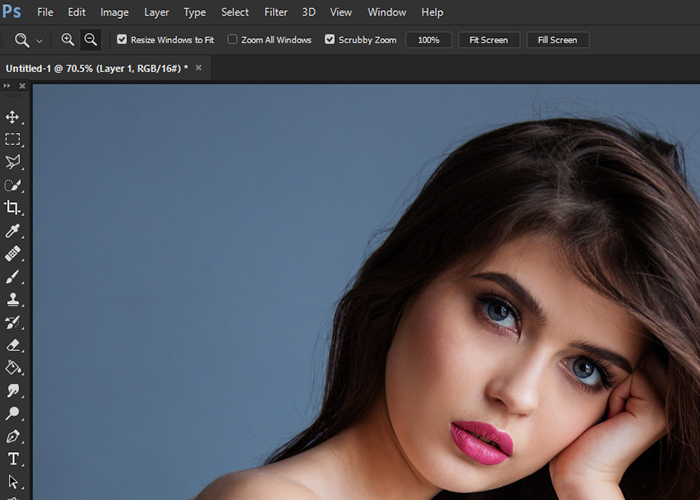 Add your image into Photoshop. 2. Head down to the bottom right and create a new adjustment layer. A menu will appear, select Black and White. 3. With the properties box open, you can see the different color sliders. Here you will be able to control the colors of your image. For example, if there’s a lot of blue in my main image. You can slide the “Blues” slider to the left or right to control how the black & white looks. If you’re using a different image. I suggest adjusting the settings to match your own. 4. If you click on the presets at the top, you’ll be able to select 12 different styles. Some of them favor the dark areas of your image and some favor the lighter parts. Experiment with these. You may like one of them. There we have it, how to simply turn your image into black and white. Since we have our adjustments finished. Learn how to easily create a color splash effect. Using the adjustment layer mask that we created. 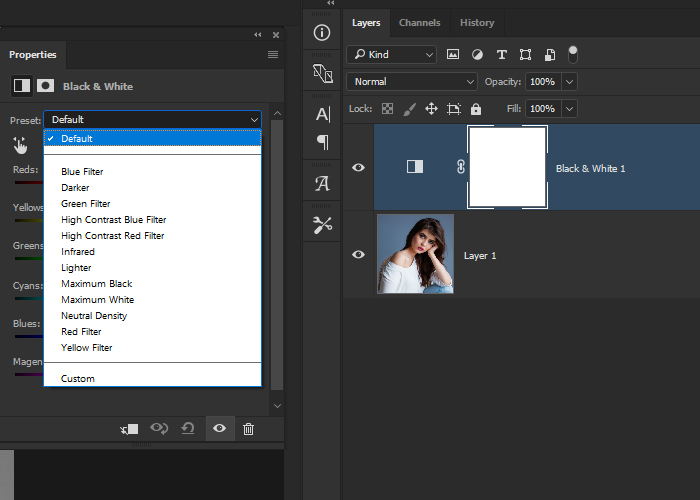 Make sure you have your layer mask select 1, just simply click on it. Make sure your foreground is set to black 2. Then select the Brush Tool 3. 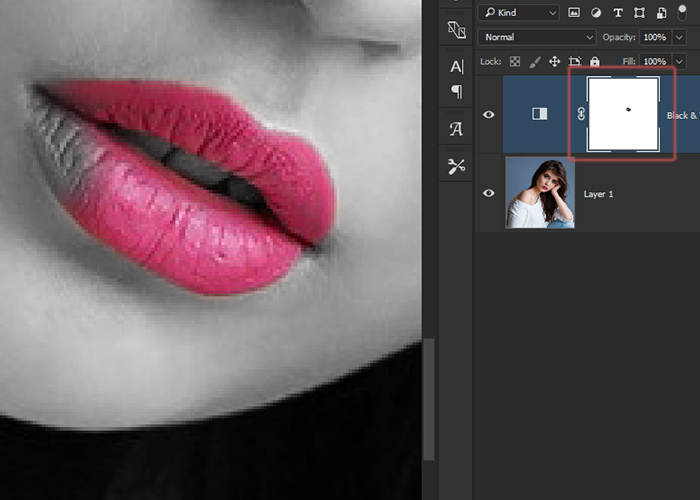 Start brushing over the mode’s lips with the Brush Tool, to reveal colors from your original image. It’s that easy. I hope this tutorial brought you something useful.